Brad Staggs’ practice focuses on the restructuring and liquidation of companies in a wide array of industries. Mr. Staggs has represented Chapter 11 debtors, secured and unsecured creditors, institutional lenders, trustees and creditors’ committees in many complex bankruptcy cases. Mr. Staggs also specializes in advising clients in the acquisition of distressed companies or their assets. Mr. Staggs’ expertise encompasses mass tort Chapter 11 cases, having represented Celotex Corporation in one of the largest asbestos-related Chapter 11 cases ever filed. In addition, Mr. Staggs has experience in insurance-related bankruptcies, having successfully confirmed a Chapter 11 plan for one of Florida’s largest workers’ compensation self-insurance trusts. Prior to joining Bush Ross, Mr. Staggs was a member of the Business Reorganization department of the preeminent New York law firm of Weil, Gotshal & Manges. 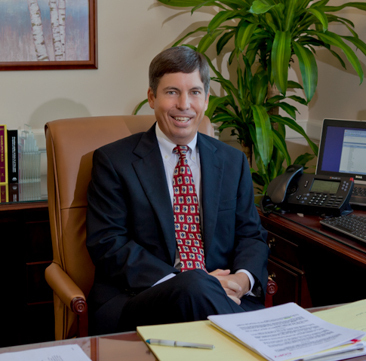 Mr. Staggs has authored numerous articles, including articles published in the American Bankruptcy Institute Journal and the University of Florida Law Review. He has also authored several chapters for publications of the Florida Bar. Mr. Staggs was born in San Bernardino, California and raised in Palm Beach Gardens, Florida.